Do you recognize it? 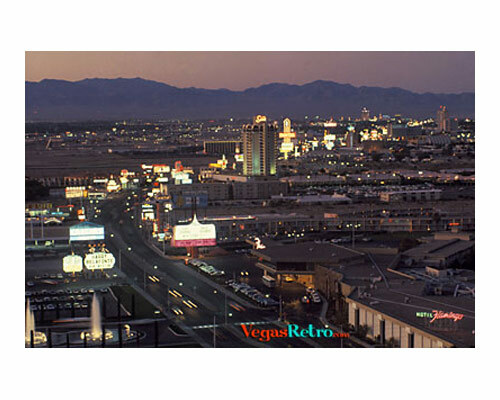 It is the Las Vegas Strip photographed from the Dunes Hotel in 1968. What a difference! Today, the Belagio sits where the Dunes Hotel used to be and you could not see past the high rises of Caesars Palace from this view. Who knew our sleepy little desert town would become a gathering place for the hip and wealthy as well as a high rise mecca. I lived there in 1968-70. It was great. We all knew each other on the strip. On Friday night cocktail dresses and furs. Saturday night full length gowns and furs. It was wonderful. It will never be the same.